Earlier this month, we saw an opinion piece opposing Medicaid expansion that included a handful of inaccuracies. At MBPC, we know that facts matter. So, we took a moment to analyze the article and highlight why a state investment in health care coverage is an opportunity we cannot afford to pass up. Fact 1. Medicaid expansion was bipartisan. In 2015, Republicans and Democrats worked together to create a Montana solution called the Health and Economic Livelihood Partnership (HELP) Act. Representative Buttrey (R) from Great Falls sponsored the bill, which passed 28-21 in the Senate and 54-42 in the House. Since then, 95,000 Montanans have gained access to health coverage and enrollees have received 300,000 preventative care services, such as vaccines, screenings, and dental exams, helping promote a healthier workforce. Fact 2. Medicaid expansion helps people work and achieve financial stability. Financial stability and economic security are really only possible when someone is healthy – physically and mentally. 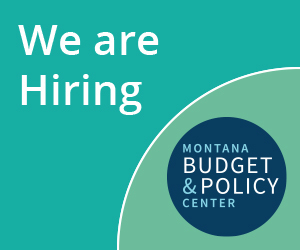 Medicaid expansion has been a critical opportunity to connect tens of thousands of Montanans to the health care they need in order to find work, get training, go back to school, hold multiple seasonal jobs, and continue working when they are hit with an unexpected health issue. Our state is one of thirty-seven (including the District of Columbia) that have expanded so far, but Montana is the only state that can demonstrate the success of our unique HELP-Link program, which helps thousands of Montanans access job training to secure employment (or greater employment). Since the creation of HELP-Link, Montana has seen increased workforce participation among enrollees. To date, the HELP-Link program has connected 25,244 people enrolled in Medicaid to a range of Department of Labor and Industry (DLI) workforce training programs. HELP-Link provides intensive one-on-one support that has helped over 3,000 Montanans receive employment training services. HELP-Link has worked, and policymakers should consider ways to bolster – not jeopardize – the successes we have seen with this innovative and Montana made program. Fact 3. Medicaid expansion saves Montana critical resources. Medicaid expansion is an opportunity for significant savings in our state. Montana pays 35 percent and receives a 65 percent standard federal match for traditional Medicaid. However, Montana receives an enhanced federal match for its Medicaid spending on expansion adults—100 percent in 2016, 95 percent in 2017, and then phasing down to 90 percent in 2020. This has saved the state more than $40 million during the first two years of expansion. If Montana’s Medicaid expansion continues beyond its current June 30, 2019, sunset date, the state will continue to receive a 90 percent enhanced federal match for Medicaid spending on expansion adults. In other words, Montana receives $9 in federal matching funds for each $1 in state funds spent. Expansion also helps state agencies, such as the Department of Corrections, save critical resources simply because inmates’ hospitalizations are now paid for by the Medicaid program, coverage that prior to Medicaid expansion was paid for by the Department of Corrections and state general fund dollars. One-third of inmates in Montana jails and prisons have behavioral health needs, such as mental illness and substance use disorders. Enrolling formerly incarcerated individuals in Medicaid expansion when they leave jail or prison can reduce recidivism by ensuring that these individuals can get treatment, which is an important component of successful reentry. Medicaid expansion has also given Montanans in prerelease centers access to much-needed health care services. Without Medicaid expansion, most offenders in prerelease centers would have no health coverage, so their only access to health care would be the emergency room, which shifts costs to state, county, and city agencies. Fact 4. Medicaid expansion has exceeded expectations. Yes, enrollment has exceeded the original projections. So, what does this say about enrollment and the health needs of our state? It says that access to health care is a far more important issue to Montanans than previously estimated. Of the 95,000 enrollees, over 90,000 have accessed preventative health care services as of December 31, 2018, such as cancer screenings, colonoscopies, diabetes screenings, and preventative dental services. Montanans are now able to receive health care in ways they could not before. Fact 5. Medicaid expansion is part of the solution to the behavioral health crisis in Montana. In addition to promoting physical health, Medicaid expansion enables access to mental health and substance use disorder treatment services, for which the need is high in Montana. Prior to expansion, traditional Montana Medicaid did not have a significant role in providing and paying for substance use disorder treatment. Without health insurance or affordable treatment options, individuals had few alternatives to seek support, recovery, and stability, and suffer as a result. Untreated serious mental illness also a significant impact on our overall economy. When an uninsured individual’s mental health turns into a crisis, providing emergency services puts a greater burden on limited local resources of police and fire departments, emergency rooms, and county jails. Now, for the first time, Medicaid expansion provides a payment source for care for substance use disorders and mental illness that were previously covered only by the state General Fund and federal block grants. As of December 1, 2018, nearly 10,000 Montanans have accessed mental health services. Fact 6. The health of Montanans is improving. There is substantial research concerning the health of Montanans who have been able to receive mental and physical health care services due to Medicaid expansion over the past three years. The Department of Health and Human Services Medicaid Dashboard is an excellent resource for up to date data on the services Montanans access through Medicaid expansion. Overall, a healthy workforce is a stable and strong workforce. Protecting and continuing Medicaid expansion is critical for nearly one in ten Montanans. Ensuring Montana citizens have affordable, accessible health care is critical to our state’s economy. When individuals, especially those with low-incomes, can get the health care they need, they can afford food and other basic necessities, build job skills and maintain employment, and have a better quality of life.